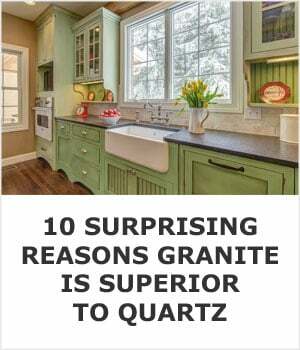 Deciding if quartz is the best countertop for your kitchen renovation is a big decision. There are plenty of pros and cons, but overall it’s an excellent kitchen work surface. I’m going to walk you through some of the best benefits of quartz and show you a couple areas it’s lacking in as well. In the context of countertops, however, it’s very different. 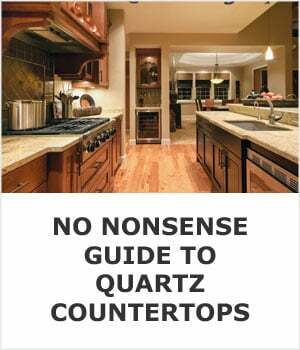 A quartz countertop isn’t made from 100% natural stone. 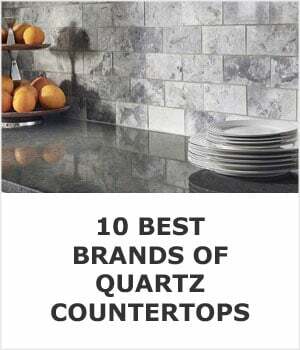 Manufacturers of quartz countertops claim that their products are composed of 93% crushed quartz and the remaining 7% is a resin used to bind the crushed stone together. When they say that it sounds like you’re mostly getting a natural stone countertop. But the truth is that the 7% number they are quoting you is by weight. 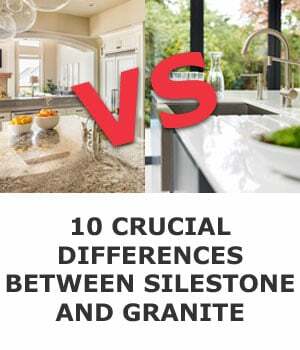 When you compare the volume of stone to resin it’s closer to a 70⁄30 mix. The exact composition will vary depending on the manufacturer and the style. In some cases the ratio of stone to resin can be as high as 50⁄50, so it’s very important to only buy your countertop from reputable manufacturers like Pental and Cambria. There are a few common questions about quartz that people ask. Let’s quickly cover those, but if you’d like more information, just click the blue links below and you’ll be taken right to that part of this page. Price - Anywhere from around $50-$100 per square foot isn’t out of the ordinary. The cost is similar to that of other natural stones, like granite. Can You Put Hot Food On It? - Yes, it can withstand a lot of heat but under the right conditions high temperatures can discolor it. Do They Scratch? - Quartz is very hard to scratch. You could use a knife to cut directly on them but that would dull the blade of your knife so you should always use a cutting board. Are They better Than Granite? - I don't believe they are and most countertop fabricators agree. Where To Buy? - You can buy quartz countertops at a local fabricator, which is usually the best way to go, as opposed to going through big box retail stores. How Do You Clean Them? - They're super easy to care for. Soap and water is all you need for daily clean-ups. For decades granite was considered the king of kitchen countertops, and then quartz arrived on the scene, becoming more and more popular each year. Now quartz is outselling granite, making them the most popular choice for kitchen work surfaces. We’ve mentioned durability briefly, but it deserves it’s own section since it’s one of the most important considerations to make. Quartz is exceptionaly durable. Some have gone as far as to say that it’s indestructible. While that’s not true it’s darn close. It’s one of the most durable counters you can get and it stands up to daily use, even under extreme conditions, beautifully. Since quartz counters are made with a resin, they are sensitive to heat, so you have to make sure you never put a hot pot or pan down on your counter. Always use a trivet or at the very least place a pot holder under your hot pot. Permanent burn marks are a common problem and it’s even possible for them to crack if the conditions are just right. Just about every quartz manufacturer recommends using trivets. The quote below comes from one of the largest manufacturers websites in the world. They’re really hard to stain but be on the safe side and wipe up spills in a reasonable amount of time. One thing to avoid is doing any work involving solvents and other chemicals. Don’t use your countertop as a workspace if you’re into painting model cars, or other hobby projects, since spilling a bit of paint thinner or other chemicals can quickly discolor the resin. Other high-end countertop materials are more prone to cracking and chipping than quartz. 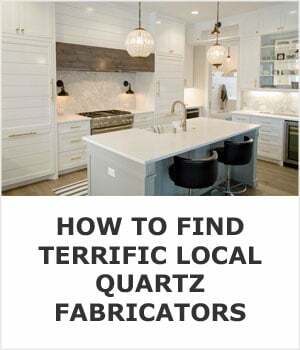 The resin allows for a tiny bit of fliexibility that you don’t have with the other types of countertops, so a dropped pot or ceramic bowl that might crack or chip natural stone may not harm quartz at all. It’s very hard to do but it’s entirely possible to scratch quartz. It shows up more prominently on dark, solid color, high gloss styles and is not an easy fix. Your regular kitchen knives won’t damage them but I wouldn’t plop my woodworking tools on them or rest my wrench on them while working under the sink. While quartz has its weaknesses, other types of countertops are much more prone to stains, heat damage, chips, and scratches. Overall, quartz is more durable than just about any other material you could choose. For general day to day cleaning, a damp cloth and a small amount of a soap will be sufficient. Diluted vinegar also works very well and I prefer it over liquid soap. With soap a thin layer of soap scum slowly develops and robs your countertop of its’ shine. 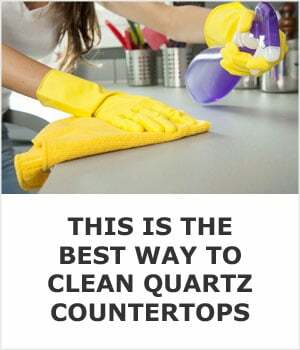 The above paragraph was the “quick and dirty” version of quartz cleaning, to learn more and get answers to some of the most common questions about cleaning quartz countertops, follow this link. You don’t need to polish your countertop, and a quick cleaning every day or every few days if you don’t do a lot of cooking will keep them in tip-top shape. You’ll want to avoid using anything that’s very acidic or alkaline, and stick to more neutral and mild cleaners. Avoid contact with turpentine, oven cleaner, nail polish remover, bleach, drain cleaners, and other strong solvents. You can use a bit of rubbing alcohol on a tough stain but you’ll want to rinse it off thoroughly and almost immediately. Since it’s best to avoid using any strong cleaners, you’ll want to be diligent in cleaning things up right away, and making sure that dirt, oil, and hard water deposits around the sink don’t have time to settle in. For example, we heard of someone who had a high-powered flashlight that they negligently set down on their countertop for just a couple of minutes, and now it has circular marks on it that won’t go away. Quartz does poorly with any quick changes in temperature, and is heat resistant up to 300°F (150°C). With appliances like toaster ovens, crock pots, and others that generate heat for long periods, it’s a good idea to have a trivet or heat-resistant mat underneath them. You’ll probably never experience a problem with these small appliances but it does happen so it’s best to be on the safe side. At the risk of being repetitive to the people who have been following along closely, let’s quickly put together a list of the pros and cons for easy reference. Durable: It's very tough to scratch or chip. Non-porous: It won’t easily absorb stains. Easy To Clean: Soap and water is all you need. Maintenance Free: No sealing required. Colors Options: Limitless colors and patterns to choose from. Cost: There are cheaper options but when it comes to quality you get what you pay for. Heat Damage: Use a trivet under hot pots, pans, and small appliances that generate heat for long periods. Typically, when people buy quartz, natural stone is the look they are after but without the perceived hassle of maintaining it. You can find quartz counters that look almost identical to natural stone. There are patterns that look like granite, marble, soapstone and some that even look like they’ve got smaller rocks and pebbles embedded. By mixing pigments and other materials with quartz, it’s possible to create colors and patterns that are found in nature or surreal colors that only exist in your imagination. Quartz is very versatile in kitchen renovations since you can find something to suit whatever look you are trying to create. So, if you’ve found a floor that you’re in love with, you’ll be able to build around that. If you have an existing set of cabinets that you don’t want to replace, you’ll be able to find a counter that’ll look great with them, and so on. A big factor in the price is, of course, the quality you’re getting. Lower quality quartz counters can cost $50 per square foot and in some cases much less. The midrange price is closer to $65, and at the top of the price scale expect to pay as much as $100 per square foot. You can spend more than that too but for the sake of giving you a reasonable range let’s not get carried away. In the United States, the national average for the total cost is in the ballpark of $2000-$3000, but that can quickly add-up depending on the quality, the installer, the style you choose, and obviously how large your kitchen is. 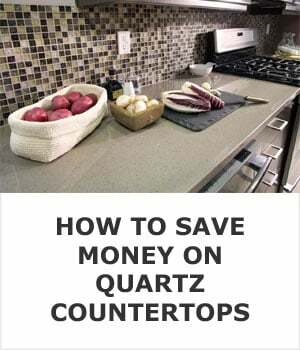 It’s not just a question of where you should buy quartz counters from, but where to avoid buying them from, too. Some of the stores that pop into your mind when you think of home renovations and supplies are not the best places for this type of countertop. IKEA, Lowe’s, and even Home Depot are not an ideal place to look. They do have some of the better brands (and some not-so-great-brands), but even solid brands will sometimes have lower-quality product lines available in these stores, so you’ve got to look beyond just the brand. You’re better off finding a local stone yard and experienced fabricator. Through them you’ll be able to get the best quality material as well as get the most experienced fabricators and installers. 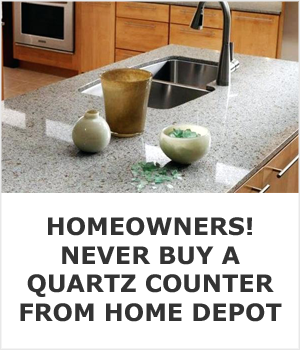 You’ll also be able to pick out your slab of quartz before you buy it and have it cut to fit your kitchen. At the big box home improvement stores you’ll only be able to choose from a small sample and some pictures of what the finished product may look like. For this reason alone it’s best to find a local fabricator that will help you pick out the exact slab you’re going to buy. 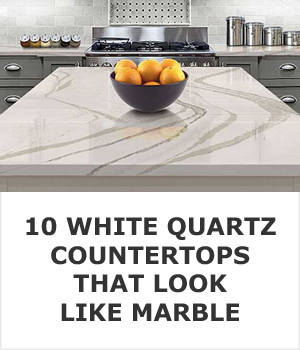 There are a number of large brands out there that manufacture quartz countertops. DuPont has a popular product lineup called Corian Quartz. Some of the other noteworthy brands worth exploring are Silestone, CaesarStone, and Cambria. Your best best for good quality is to stick to the major name brands that have a solid track record. There are a lot of no-name cheap slabs on the market and for the most part the quality is very poor. It shouldn’t come as a big surprise that people are falling in love with quartz countertops. As long as you’re following the simple best practices for cleaning and maintaining them, and being careful of heat, they will be the last countertop you’ll ever need to install. This is an investment that you can make in your home and enjoy the benefits every day, and if you’re ever thinking of selling, it’s a major selling point with most buyers too.